Computational Intelligence and Intelligent Technologies are very important tools in building intelligent systems with various degree of autonomous behavior. These groups of tools support such features as ability to learn and adaptability of the intelligent systems in various types of environments and situations. The current and future Information Society is expecting to be implemented with the framework of the Ambient Intelligence (AmI) approach into technologies and everyday life. 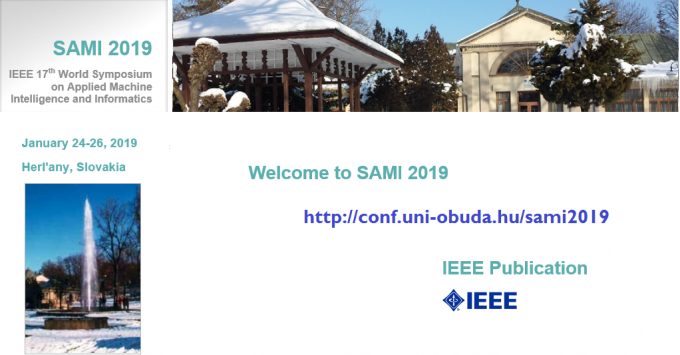 SAMI conference is sponsored by IEEE, and presented papers could be included into IEEE Xplore database. Full paper submission deadline is November 2.